In economics, the law of diminishing returns states that there's a point at which the level of benefits gained is less than the amount of money or energy invested. In cinema, generally speaking, if you watch something repeatedly, you'll gain less and less with each viewing. Even the reward of your favourite film will change the more you watch it... Or so general thinking would assume, anyway. In some cases, though, it takes a repeat for something to really be appreciated as it deserves to be. Some of the best whisky is double aged. Some of the best chips are twice-cooked. There's even a song about the first being the worst and second the best. 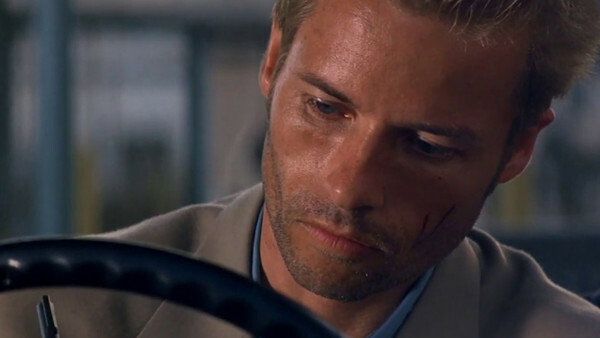 On first viewing, Guy Pearce's performance - arguably the most impressive of his career to date - as the tragic Leonard in Christopher Nolan's breakout feature is hugely impressive. He is the heart and hero of a fairly typical, but chronologically confused neo-noir, unpicking a twisting narrative mystery around the death of his wife and the assault that led to his profound memory loss. That's a genius concept on its own, with Pearce's performance acting as a dependable, sympathetic anchor even as the story jumps between two points on the timeline. 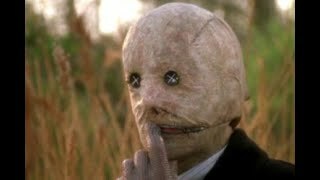 Nevertheless, even before the revelation, it's a performance marked by existential dread, which is exactly Nolan's intention. When that revelation eventually comes and we learn the truth of Leonard's tragic story and he is essentially flipped into the villain of the piece, the film immediately demands a rewatch. This time, you watch as the detective investigating Leonard, rather than the same case he is, and the performance is even more impressive - losing absolutely nothing of its nuance because of your awareness heading in.